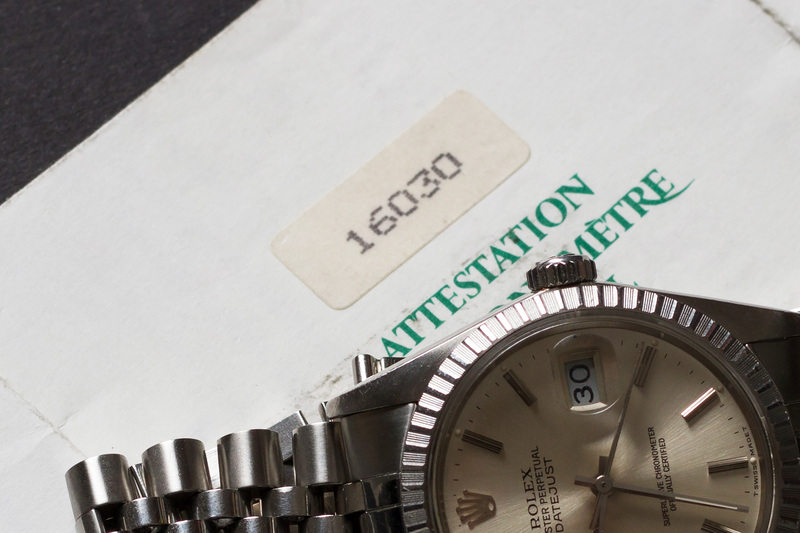 ”What’s the difference between a 1603 and 16030 Datejust” is a question we get asked a lot. 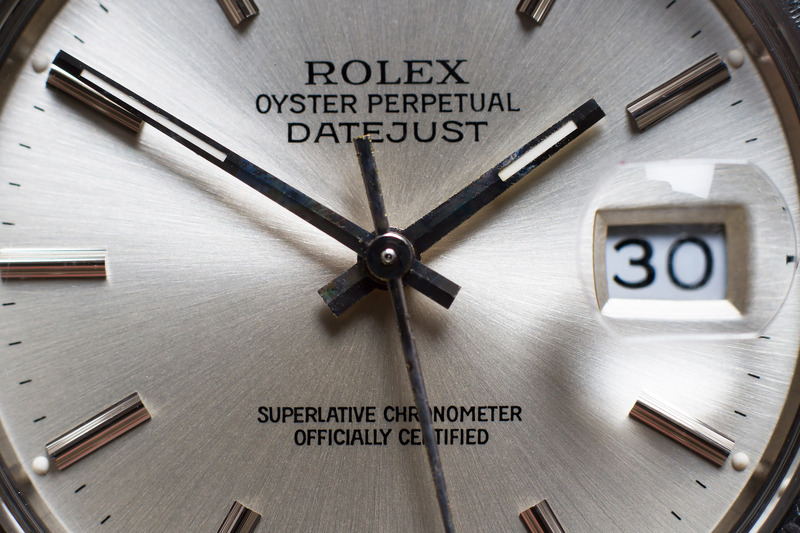 The biggest difference is the updated movement with a so-called quick set function. 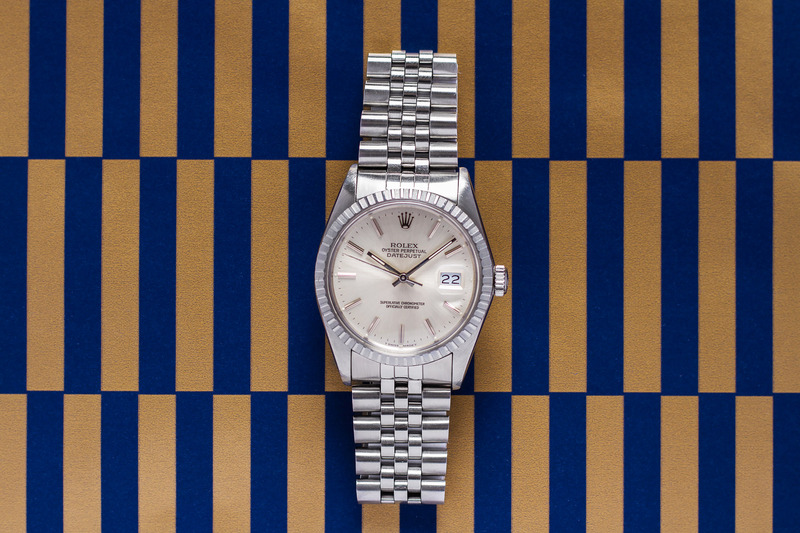 When Rolex decided to switch the calibers (jargon for movement) for the Datejust somewhere in the 1970’s. 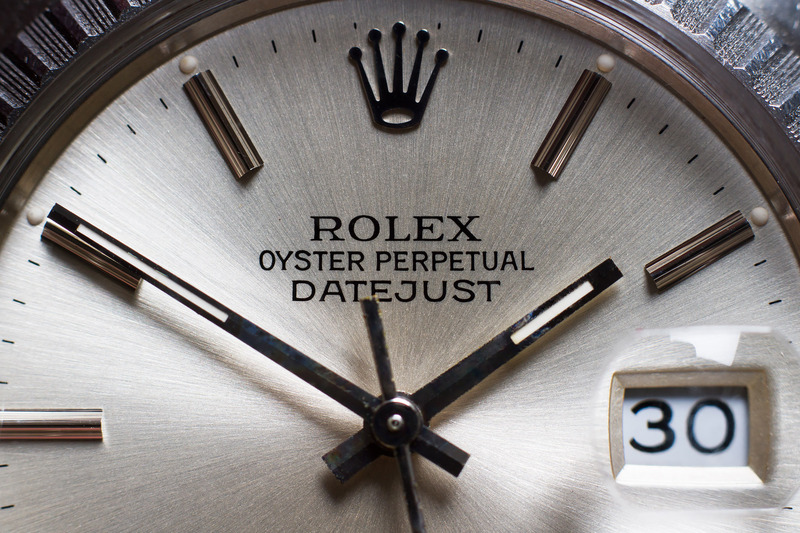 They changed the caliber 1570 (up to that point the harts of all 16xx Datejust watches). to the then latest, and updated caliber 3035 with quick set function. The quick set allows one to change the date by unscrewing and pulling out the crown to the first position, by turning the crown, you will Quick Set the date – simple. Up to that point the Date had to be changed by turning the hands through the 24 hour mark, which could be a real b@#ch when it’s the 3rd of the month and your watch says its the 12th… The creation of the quick set was a welcome one. 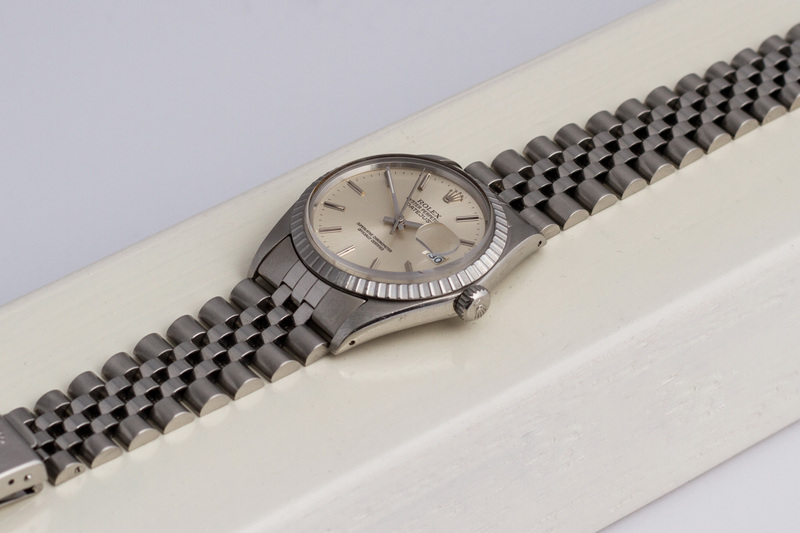 This 16030 Datejust has that 3035 quick set caliber we just talked about and she’s working like a charm! The overall condition of the 16030 is more than fair. 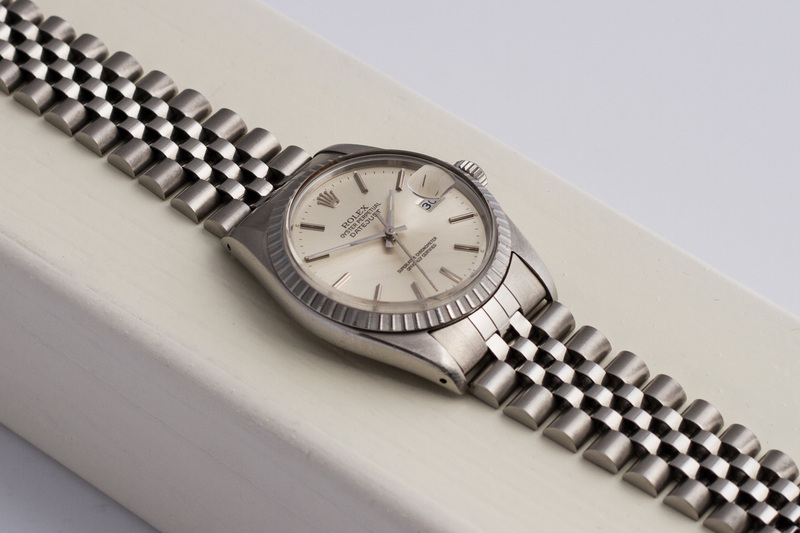 The beautiful silvery champagne dial on this Vintage Datejust appears darker at times due to aging. The Tritium dots at the end of the hour-markers are all accounted for and have developed a nice eggshell tone throughout the years. 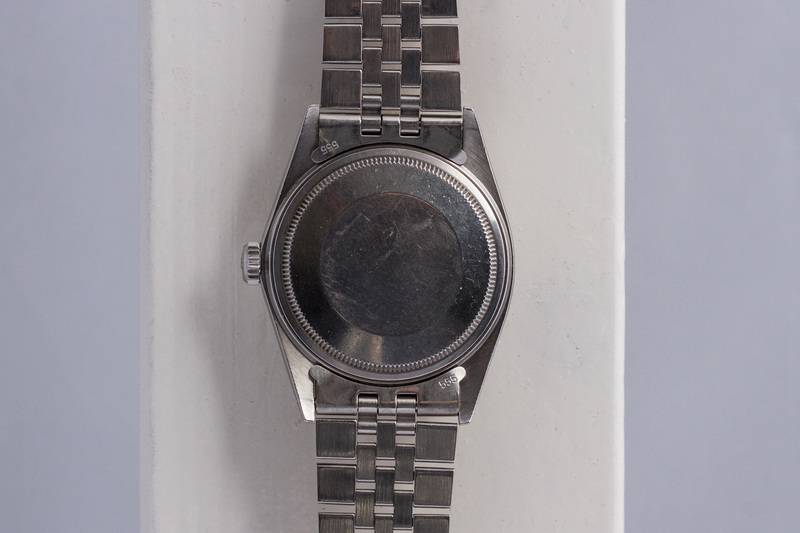 The case is nice and thick while the original M stamped 62510 H Jubilee bracelet matches nicely with the year of production of the rest of the watch. 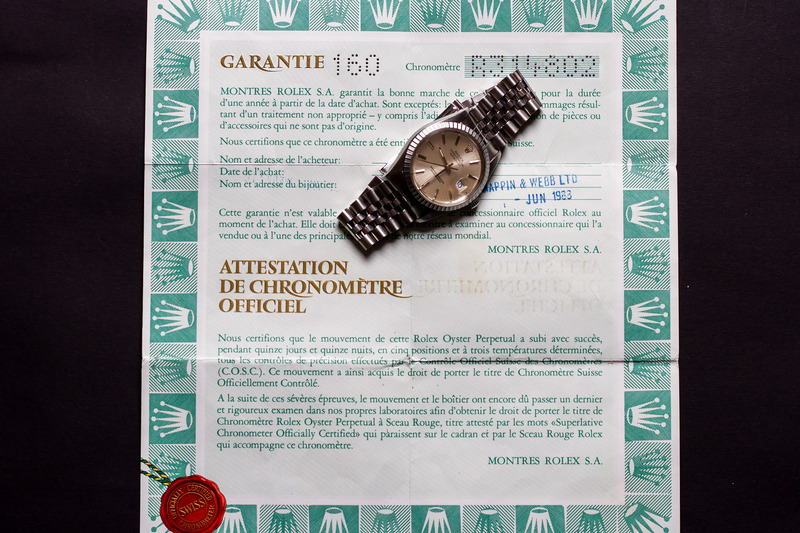 The icing on the cake with this 1987 Datejust is that its accompanied by its original punched warranty certificate and 68.00.2 green box. 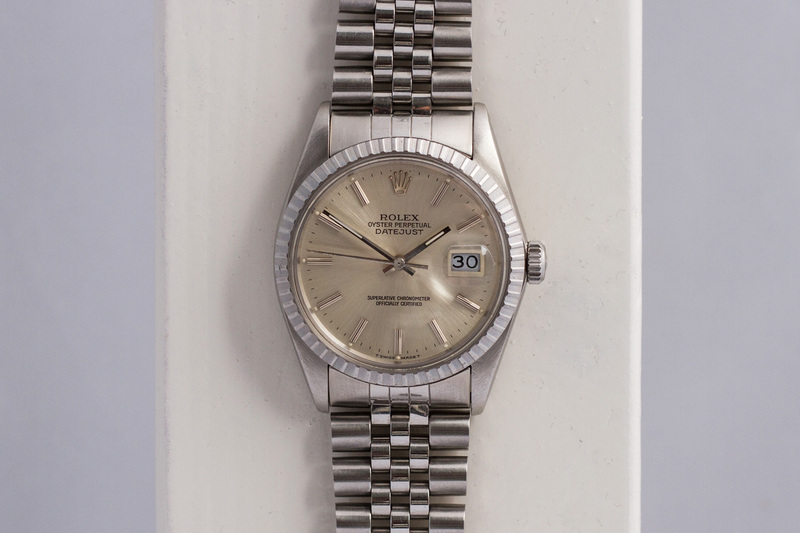 The watch was sold and the paperwork was stamped in 1988 by London based official Rolex retailer, Mappin & Webb LTD. The entire movement has been serviced by our watchmakers and the watch will be offered with a twelve month warranty.